Kia Motors has been actively working on improving its charging infrastructure in the US as it adds more electric cars to its portfolio. The company currently retails the Soul EV, Niro EV1, Niro PHEV and Optima PHEV, among other models in the country. 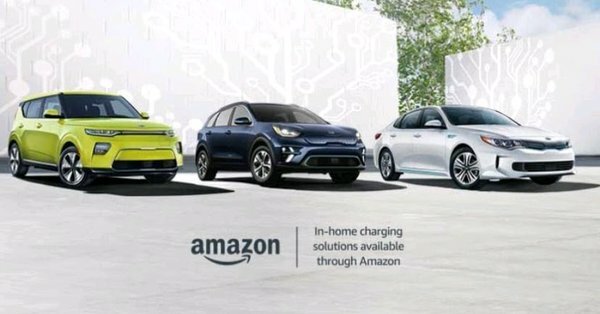 Customers will find recommended Level 2 or 240-volt charging units selected by Kia on Amazon, along with information about home charging installation and customer reviews. The site also gives customers the cost for the installation and will schedule a licensed electrician for the same, if needed. The charging stations are backed by Amazon’s Happiness Guarantee plan. Kia’s vehicles in the US are offered with a 10 year/160,000 km warranty cover and roadside assistance. Kia and Amazon have set up a new ‘Charge my Kia’ portal for the sale of the electric charging stations. While buyers can purchase the Bosch 40-amp station that is available in partnership with the manufacturer, there are other charging stations available as well from companies like Chargepoint and Juicebox.